Rio Grande City is the county seat of Starr County in the state of Texas, it neighbors the Mexican city of Camargo accross the Rio Grande. As of the 2016 U.S. Census estimate it has a population of about 15,000. 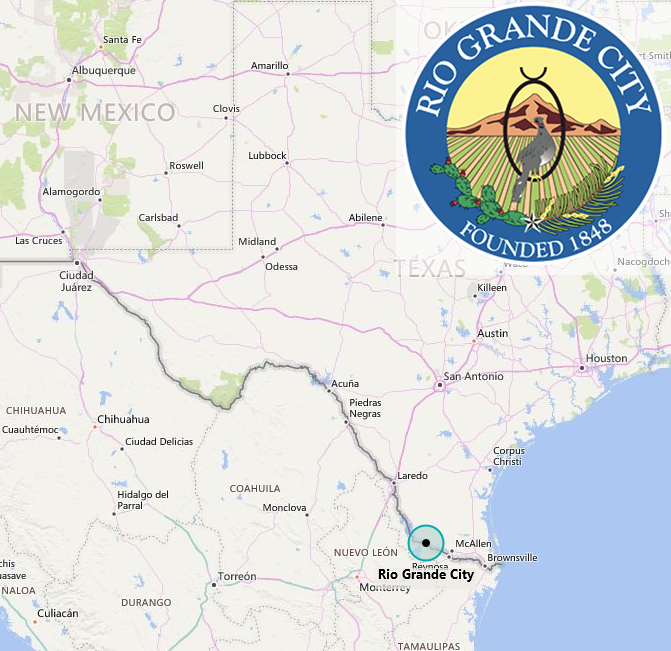 The Port of Entry (POE) of Rio Grande City handled trade flows of over $300M U.S.D. in 2016. The Rio Grande City POE (2307) is part of the trade District of Laredo. Source: U.S. Census, U.S. Department of Commerce Bureau of the Census Foreign Trade Division, U.S. Customs, Texas Workforce Commission, Central Power and Light, local building departments and local U.S. bridge operators in cited cities. Mexico Border City: Camargo, Tam.